We are New Jersey’s premier limousine company; serving all areas in New Jersey and New York City. We pride ourselves on providing unrivaled service. A luxurious and safe limo service for rent at affordable rates, Preferred Limousine is your first class limo choice. Whether it’s the airport, a special occasion or a night out on the town, riding in a limo makes a lasting impression! Travel in style, enjoy impeccable 24/7 limo service and first class amenities available only from Preferred Limousine. 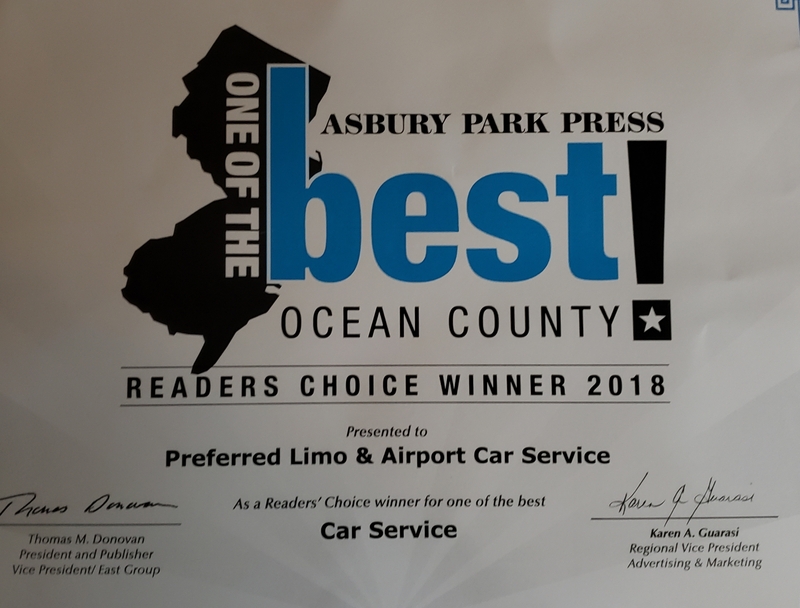 We offer the Absolute Best Service for Airport & Cruise Port Transportation, Weddings, Bachelorette Parties, Wine Tours, NYC Limo, Atlantic City Casinos, Sportings Events & Concerts and much more. Months of preparation and anticipation have gone into planning your wedding. We know how critical it is that everything runs smoothly. It’s a day you will never forget and we are honored to be a small part of it. Preferred Limousine’s Ground Transportation Experts are dedicated to the highest level of quality and service. Sit back and relax knowing that our highly trained staff will take the stress out of getting to and from your destination. There are so many moments in life to be celebrated and cherished. Whether it’s a bachelorette party, an anniversary, a sporting event or concert, make it a night to remember and we’ll drive! No matter the size of your group or your destination, we can arrange a luxury vehicle to meet your needs and exceed your expectations! We utilize advanced, state of the art, real-time reservation, dispatch, account management and tracking software. We are New Jersey’s premier limousine company; serving all areas. We pride ourselves on providing unrivaled service, luxury and safety at affordable rates.